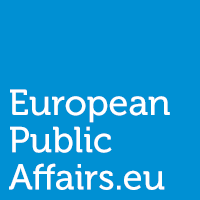 EuropeanPublicAffairs (EPA) was created as an accessible platform to provide specialised political analysis and commentary in the area of European politics, policy, as well as strategically related developments. To researchers or public affairs practitioners, EPA is a platform through which well founded discussions can occur, ideas can be refined, policy impacts observed, and connections across myriad policy areas made. For active citizens, whose curiosity about policy or politics may not be satisfied by mainstream media, EPA provides thoughtful as well as thought provoking analysis of situations, political decisions, and how policies will actually work when implemented. Founded in 2013 by 24 practitioners in the field, who all held a Masters degree from Maastricht University, the platform has always held diversity at its core, both in regards to where contributors come from, as well as their specialist areas. EuropeanPublicAffairs has since expanded, with a current pool of over 50 Public Affairs or Policy professionals contributing to EPA’s success. In 2018, to celebrate 5 years of success, EuropeanPublicAffairs has undergone a refresh, with a new design and enhanced digital ability that will allow EPA to offer readers and contributors alike more opportunities to discover and engage. From articles, videos, podcasts, longer reads, book reviews, puzzles, helpful resources and more, we invite you to read-explore-discover-contribute in the world of European Public Affairs. **Please note that the views expressed in an article are the views of the individual who wrote that particular piece. An individual author’s views does not necessarily express the views of other group members. Nor do the views in an article reflect the views of any particular organisation or institution.